Brazilian music is typified by its intense and exuberant mixing of styles, from the European/African/Native American blends that brought about the original sambas of the early Twentieth Century, to the electronica and hip-hop records of today. Music in Brazil is usually divided in three categories: música folklórica (Folk music), música popular Brasilera or MPB (Popular Brazilian music), and música erudita o música de escola (art music). These terms are generally accepted as implying specific musical styles and social functions. In 1954, there was an International Congress of Folklore, which met in São Paulo. One of the questions on the agenda was the distinction between folk and popular music. Folk music was defined as "that music which being used anonymously and collectively by the unlettered classes of a civilized society, originates also from anonymous and collective creation from the group, or from the adoption and accommodation of popular works that have lost their vital functions in the source from which they originated. (2)" Popular music was defined by the same congress as "that music, which being composed by known authorship, is disseminated and used, with less or more frequency by all levels of the collective group." Afro-Latin jazz emerged during the 1940s, primarily from the confluence of American jazz and Afro-Cuban music. In the early 1960s, Brazil succeeded Cuba as the dominant influence in Latin jazz. Although Cuba and Brasil share an Afro-Iberian origin, Cuban and Brazilian jazz styles differ sharply. Cuban jazz is characteristically driving and percussive, while Brazilian jazz usually features gentle, lilting melodies. Brazilian jazz is a musical hybrid that reflects borrowings from two directions: American jazz musicians appropriated Brazilian musical forms, and Brazilians adopted jazz improvisation and American popular music conventions, ultimately producing an eclectic musical genre. Brazilian jazz initially grew out of samba, a Brazilian dance music that gained worldwide popularity during the 1940s. James Vyner James is involved with Mr Bongo records, who release the Brasilian Beats comps. Tropicalia in the late 1960s revolutionized Brazilian music mixing Psychedelic Rock, avant-garde musique concrete (tape loops, sound experiments), Samba, Funk and Soul into a truly unique combination.This is the first album to bring together all the artists involved in Tropicalia, Os Mutantes, Gilberto Gil, Caetano Veloso, Tom Ze, Gal Costa and more. Under the backdrop of the most violent and repressive days of the Brazilian military dictatorship, these artists created a new style of music so radical that both Caetano Veloso and Gilberto Gil were seen as such a threat by the Brazilian dictatorship that they were arrested, imprisoned and finally deported in 1969. Os Mutantes, the sophisticated musical anarchists from Sao Paulo not only became the musical template for Beck, they were also discovered by Kurt Cobain on tour in Brazil who tried (and failed) to get them to support Nirvana.Comes complete with the customary extensive 40+ page booklet contextualising Tropicalia, exclusive photos, and slipcase. Soul Jazz. 2006. Tropicalismo, also known as Tropicália, is a Brazilian art movement that arose in the late 1960s and encompassed theatre, poetry and music, among other forms. It is said by some that Tropicalismo is somehow associated to poesia concreta, a genre of brazilian avant garde poetry embodied in the works of Augusto de Campos, Haroldo de Campos and Décio Pignatari, among a few others. "Tropicalismo" or "Tropicália" is usually associated, almost exclusively, with the movement's musical expression, both in Brazil and internationally; a form of Brazilian music that arose in the late 1960s from a melange of bossa nova, rock and roll, Bahia folk music, african music and portuguese fado. Artists commonly associated with the movement, notably Os Mutantes, have experimented with unusual time signatures and other means of heterodox song structures. A lot of Tropicalismo artists were driven by socially aware lyrics and political activism following the coup of 1964, much like its contemporary Brazilian film movement, Cinema Novo (brazilian new wave). The movement only lasted consistently for a few years, and, in part, is responsible for what is now known as MPB, Música Popular Brasileira (Brazilian Popular Music). Although it attained little commercial success outside of Brazil, Tropicalismo has a growing popularity among indie rock hipsters and music geeks alike, and has been cited as an influence by rock musicians such as David Byrne, Beck, Kurt Cobain, and Nelly Furtado. In 1998, Beck released Mutations (album), the title of which is a tribute to Tropicalismo pioneers Os Mutantes. Its hit single, "Tropicalia", went as high as #21 on the Billboard Modern Rock singles chart. In 2002 Caetano Veloso published an account of the Tropicalia movement, "Tropical Truth: A Story of Music and Revolution in Brazil." The 1999 compilation "Tropicália Essentials," featuring songs by Gil, Veloso, Gal Costa, Tom Zé and Os Mutantes, is an excellent introduction to the style. 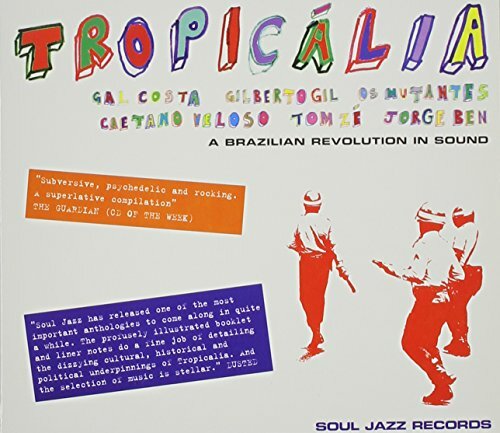 The 2006 collaboration "Tropicalia: A Brazillian Revolution In Sound" has received nearly universal acclaim. 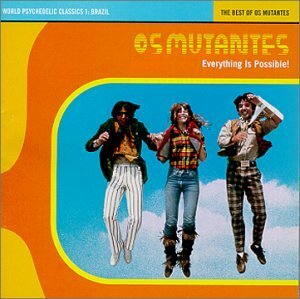 Os Mutantes were the Pioneer Brazilian Psychedelic Band in the Late 60's. Compiled by David Byrne from the Remastered Original Tapes. http://www.slipcue.com/music/brazil/brazillinks.html Brazil Linkson Joe Sixpacks excellent slipcue.com site. 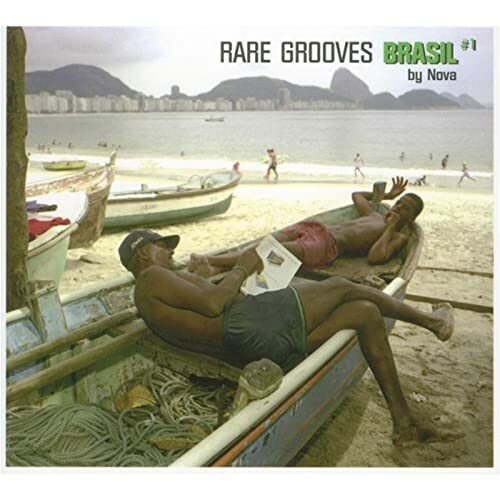 The French Radio Conglomerate Nova Kicks off 2005 with a Series Opener that is as Much Samba as Bossa but Irresistibly Groovy with a 70's Flair. A Nova Collection Sometimes Has an Air of Familiarity to it Alongside Less Familiar Names as Well. This Set features Brazilian Legends Gilberto Gil, Joao Bosco and Jorge Ben, but also Dionne Warwick and Even Junior the Footballer (Both with Full of Samba Energy!) and Many Names to Be Discovered. Overall, It's Brazil in the Groove...nova Style!